A genetics expert has claimed it would be possible to create a clone of Barcelona superstar Lionel Messi, though he wouldn’t be guaranteed to replicate the Argentine’s incredible career. 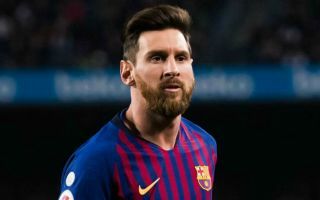 Messi is widely regarded as one of the greatest footballers of all time after over a decade of world class performances for Barcelona, with whom he’s scored close to 600 goals and won a large number of major trophies. While it would be tempting to think we could never see anything like Messi again, scientist Arcadi Navarro has explained that technically the technology is in place for us to clone the 31-year-old. That said, Messi’s clone would still need to go through a similar life and career path to the Barca man to have any chance of making the most of his natural ability, as not everything is purely genetic. “Yes, we could clone Messi with the current techniques and we would get something very similar to him. It would be like as if two twins had been born and one had been frozen 20 or 30 years ago,” he told Spanish radio station Cadena SER, as reported by AS. “This person would have the same potential, but his [Messi’s] qualities have a genetic component as well as others that are based on his education and environment. Either way, someone needs to make this happen as we could really do with anything close to this Messi once he inevitably hangs up his boots in a few years.